If you have not tried Shawarma before, you are really missing a lot! There are some places in USA where they make it. But, it is always missing the juiciness that you find in the shawarma wraps or sandwiches off the Egyptian streets. 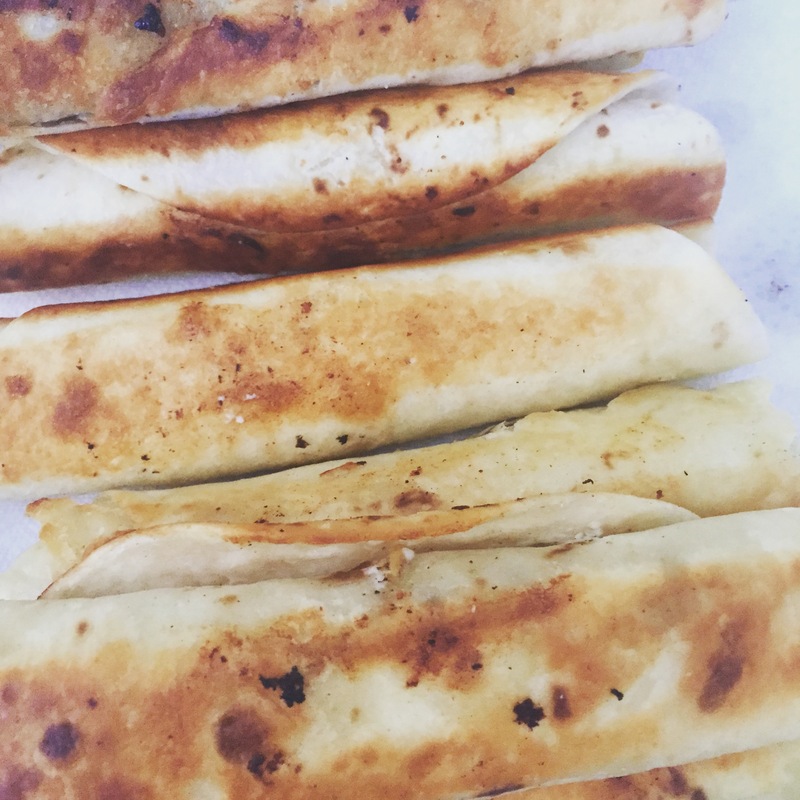 You take a bit into a wrap or even a bun of shawarma, and it hits you! 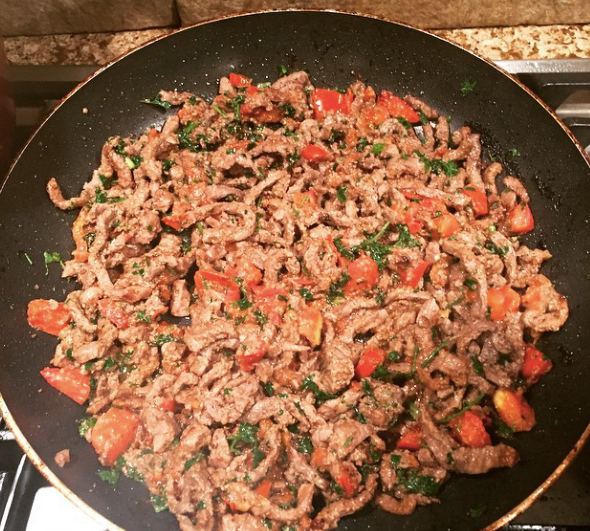 Juicy, marinated meat, parsley, tomatoes and at last but not the least the tahini sauce. Bunch of notes hit my tongue every time I bite. There are always debates between which bread is better for shawarma: a wrap or a bun. In USA, it is usually wrapped in a pita bread. Believe me that is not even close to what it should be. 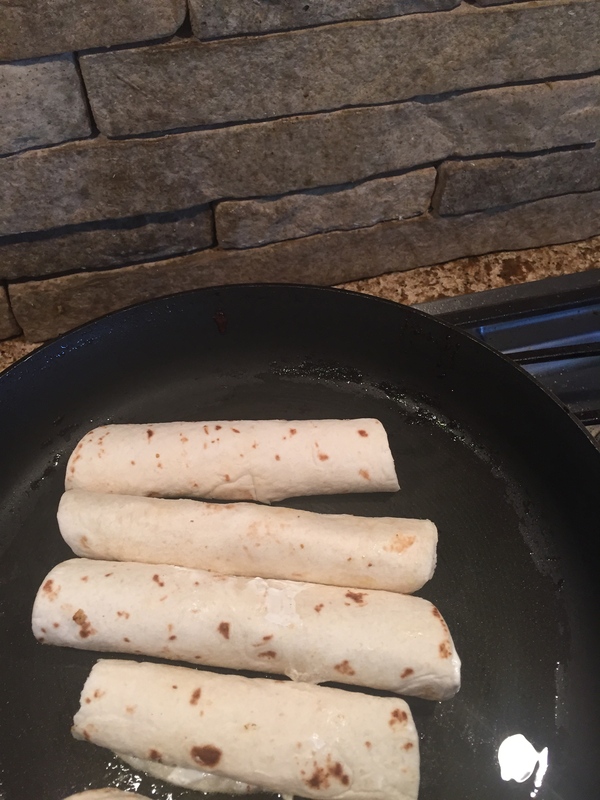 Wrap means crispy from outside, buttery and soft inside when you bite into it. Or a burger bun that is very small, in taste it is close to the hawaiian bread. Anyway, I consider myself a Shawarma expert considering the number of calroies being consumed in my body eating it. So, I wrote down a recipe that will get you as close as possible to the real deal. It is missing one thing: lamb fat! Yes, it is fat from the lamb. This recipe is an effort to get the flavors close to the best place on earth that is Abu Haidar in Ruxy, Cairo. Nothing is better than eating a shawarma sandwich with fresh mango Juice on the street curb by Abu Haidar at Cairo. 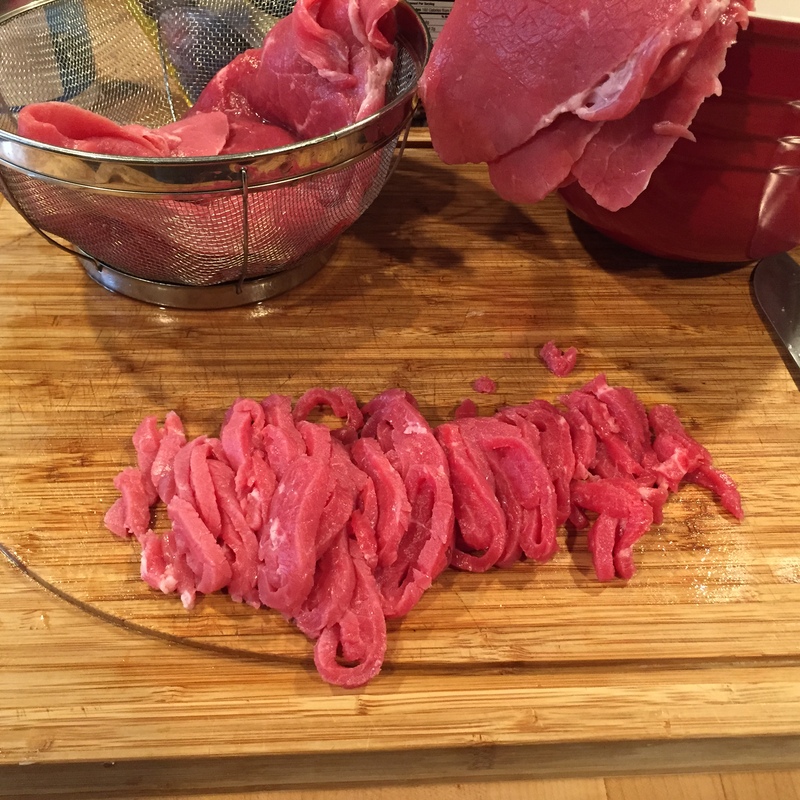 Cut the beef steak in thin long slices and set aside (you can roll then slice). Prepare the marinate (all mixed in the kitchen machine): onion + 1 cup of greek yogurt+ lemon juice+ vinegar and spices like shawerma spice+ dried mint+paprika+ salt and pepper+2 tablespoons olive oil. Mix them all together. 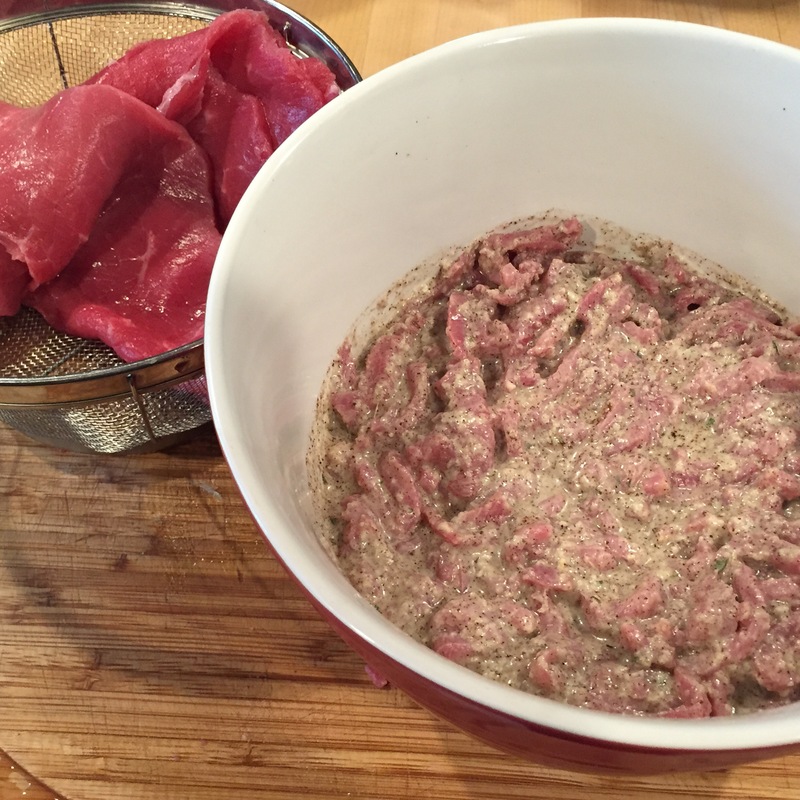 Pour the marinating sauce on beef and put it in the fridge for at least 2 hours (best if left overnight). Get a flat pan then put some olive oil ( not too much). 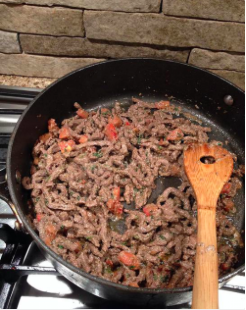 Fry the beef when brown add the sliced tomatoes and chopped parsley and cook for few more minutes. Repeat 4 and 5 until u finish. 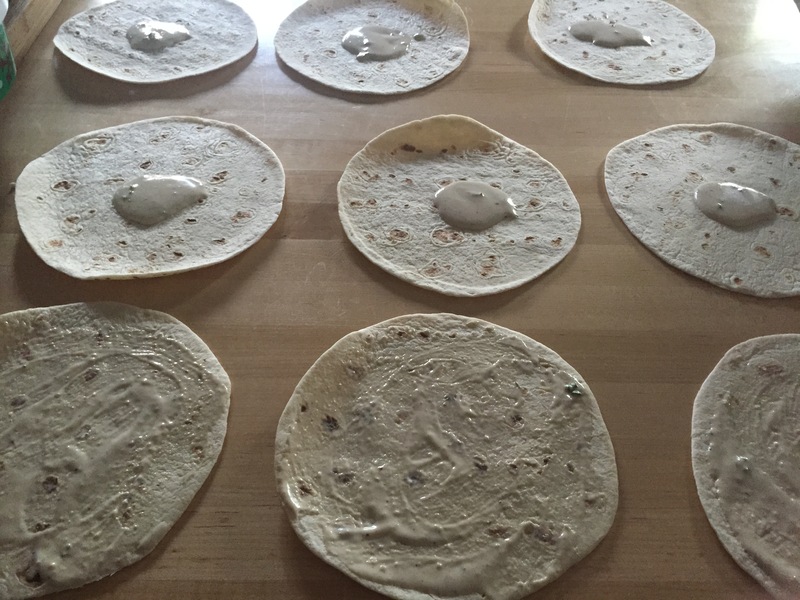 Spread the tahini sauce on the tortilla bread. Add the beef shawarma on the edge of the wrap and roll. On a medium heat, add 2 tablespoons of olive oil to warm. Add the wrap with the folded piece facing the oil. Do not flip until it is golden color, it takes 1 minute for each side. 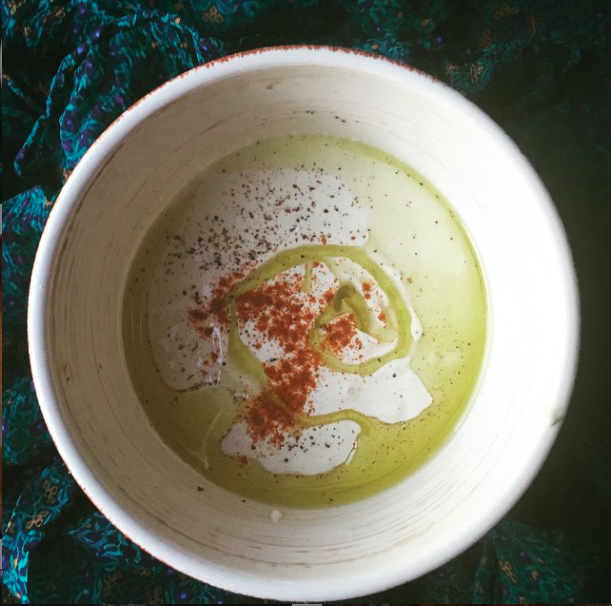 Tahini sauce recipe is below, if not available add some garlic mayo.